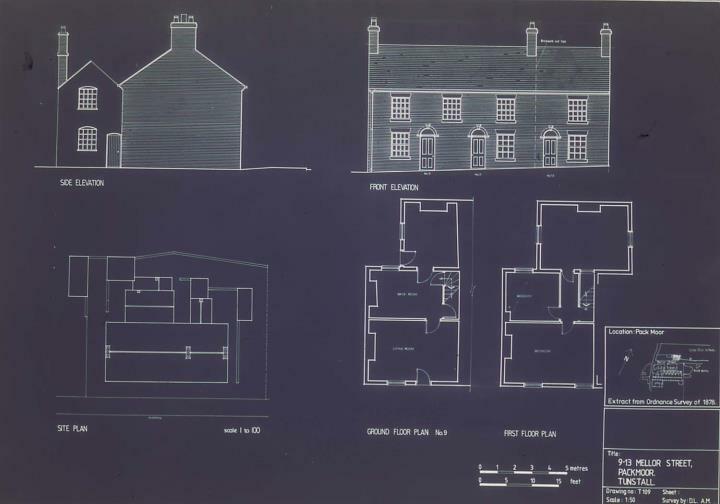 Description:This plan is of three terraced houses in Mellor Street, which were built before 1922. Housing of this type was largely constructed between 1860 and 1950 and can still be found throughout the Potteries. 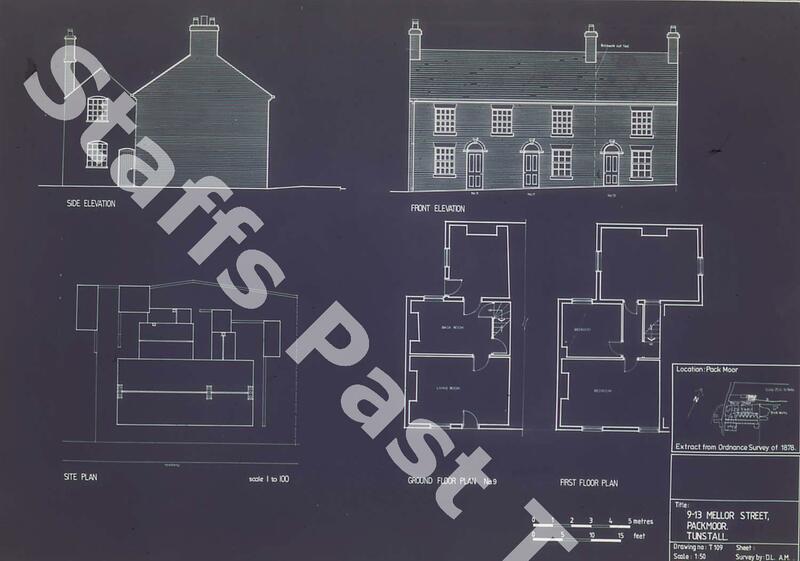 This diagram was created in 1982 during the Stoke-on-Trent Historic Building Survey and is reproduced by kind permission of HMSO.